We are a family-run, non-franchise business, with fully-trained, fully insured, DBS checked and approved, oven cleaning technicians. Our unique and intensive oven cleaning service is suitable for all types of ovens, ranges, hobs and microwaves. 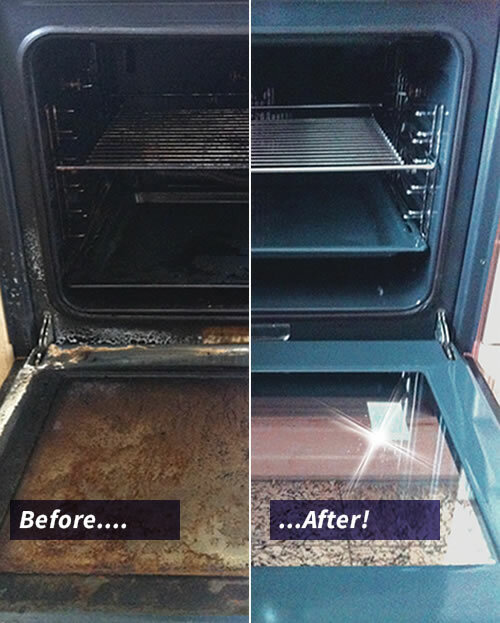 To give you a clean oven we’ll give your oven more than just a standard spray and wipe down! We utilise an assortment of professional cleaning tools to make light work of any burnt on grease and food deposits. 1st Choice Ovens have fully-trained oven cleaning operatives, and are qualified and equipped to tackle a wide range of cooking appliances, such as AGAs, Range cookers, microwaves, as well as We promise that our oven cleaning specialists will give you a clean oven, making it look like new again. But before we start any actual cleaning of your oven, we’ll roll out flooring protector to ensure that any chemicals and equipment that may need to be brought into your home won’t cause any mess. Usually, we’ll cover the area in front and around your oven. Then, after a thorough pre-check of your oven to inspect for faulty, damaged or missing parts, we’ll strip your oven of any removable parts such as doors, glass panels, interior fans, trays, grills and bulb cases, ready to be cleaned. After this, we bring both your oven and our purpose-built dip tank to operating temperature. All of the removable items from your oven are placed into our purpose-built dip tank for around thirty minutes. The tank is primed with non-caustic products that will strip away any built-up carbon deposits. We won’t sit idle during this time, though. We’ll be working on the oven interior, removing any rubber seals and side panels in order to access and clean out the deepest recesses of the oven. This enables us to achieve a level of deep oven cleaning that many non-professional cleaners don’t attain. 1st Choice Ovens have a variety of eco-friendly and non-toxic products suitable for all aspects of oven cleaning. Depending on how tough the cleaning job is, we have different strength cleaners to ensure we get the best results for you. If anything proves particularly difficult to remove, we have industrial strength pastes that will remove even the most stubborn dirt and grime. No cleaning job is too tough for our cleaning team! Once cleaned, the removable parts of your oven are retrieved from our specialist dip tank and re-installed. We’ll give it a final wipe down and inspection. And then, because of the techniques and cleaning products used, your oven will be ready to use right away.